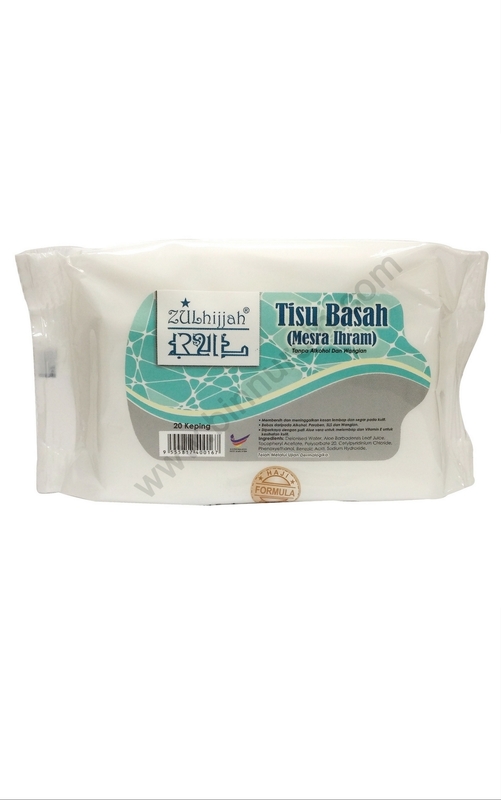 Wet tissue from Zulhijjah specially made for Haji and Umrah pilgrimage during ihram. Easy to use for cleaning while moisturized your skin. It is free from alcohol, paraben SLS and fragrances. 1 pack consist of 20 pieces of wet tissue.